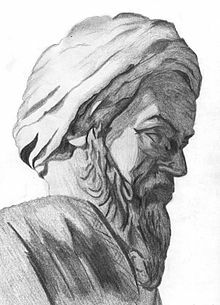 Muhammad ibn Zakariya al-Razi was a Persian polymath, physician, alchemist and chemist, philosopher and important figure in the history of medicine. He produced acids such as sulfuric acid, writing up limited or extensive notes on diseases such as smallpox and chickenpox, a pioneer in ophthalmology, author of first book on pediatrics, making leading contributions in inorganic and organic chemistry, also the author of several philosophical work. A comprehensive thinker, Razi made fundamental and enduring contributions to various fields of science, which he recorded in over 200 manuscripts, and is particularly remembered for numerous advances in medicine through his observations and discoveries. An early proponent of experimental medicine, he became a successful doctor; he was appointed a court physician, and served as chief physician of Baghdad and Rey hospitals. He was among the first to use humorism to distinguish one contagious disease from another and has been described as a doctor’s doctor, the father of pediatrics, and a pioneer of ophthalmology. As a practicing physician, Razi wrote a pioneering book about smallpox and measles providing clinical characterization of the diseases. Through translation, his medical works and ideas became known among medieval European practitioners and profoundly influenced medical education in the Latin West. Some volumes of his work Al-Mansuri, namely “On Surgery” and “A General Book on Therapy”, became part of the medical curriculum in Western universities. As a teacher of medicine, he attracted students of all backgrounds and interests and was said to be compassionate and devoted to the service of his patients, whether rich or poor. Edward Granville Browne considers him as “probably the greatest and most original of all the physicians, and one of the most prolific as an author”.